Encouraging a love of reading in my children is something that’s very important to me. As a child, I remember how excited I was to go to the library and leave with a pile of books stacked higher than my head. To my absolute delight, my little ones seemed to have picked up on my love of reading. 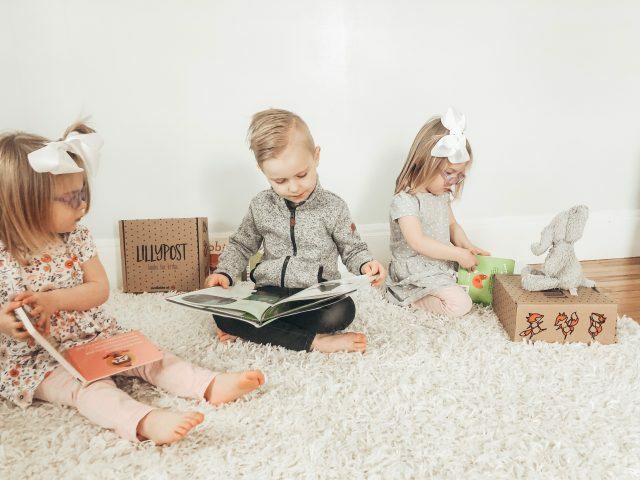 My twins, Josie and Margo (3) have always loved to sit and flip through books. Theo (5) loves reading so much that he taught himself to read on his own when he was 4! I think that part of the reason they are so excited about books is the fact that we frequently get new ones! They always receive a book on Christmas or their Birthdays, and I try to get a new one for each holiday every year. *This post is sponsored by Lillypost. 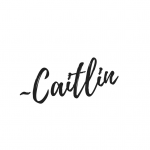 It can get expensive to buy books at retail value, and that’s one of the reasons that I love Lillypost! 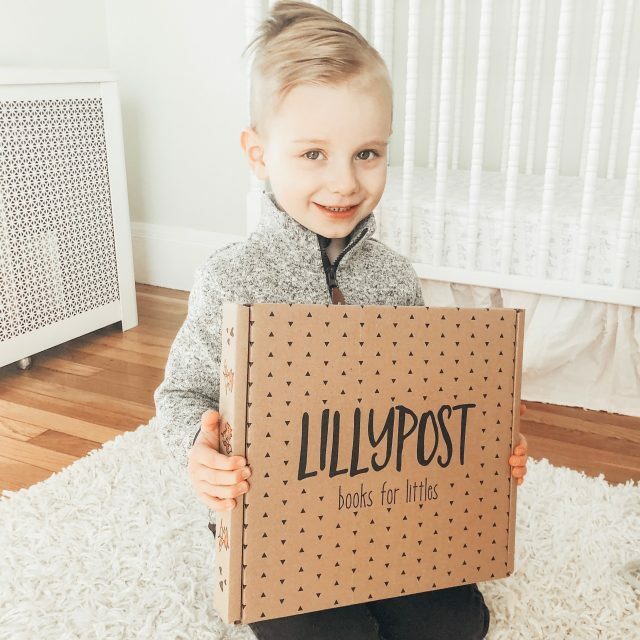 Lillypost is a book subscription box for children. They offer options for either board books or picture books. 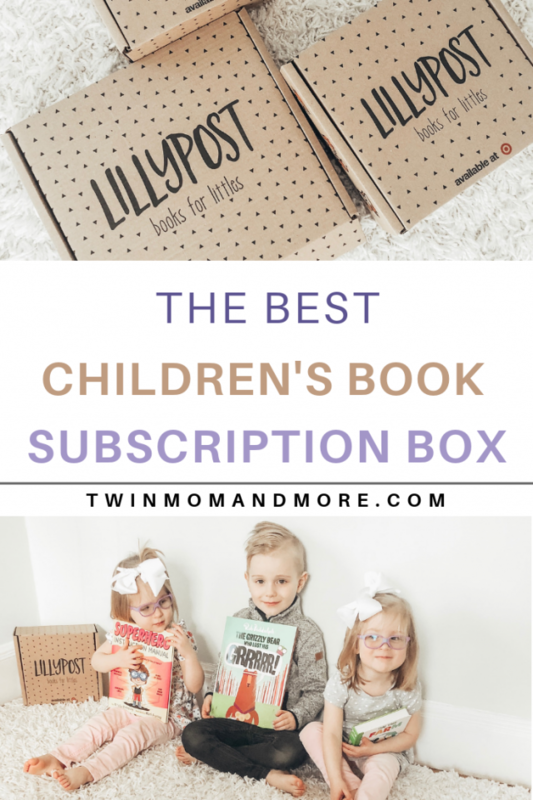 They even have an option to do a combination of board and picture books that is perfect for families with children of mixed ages. The books are delivered right to your door each month! We couldn’t contain our excitement when our boxes arrived. It was like Christmas morning watching their faces as they opened up their individual boxes. If you add up the prices of the books inside each box, you will save up to 50% off retail prices! 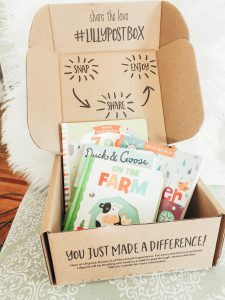 AND for each box that is sold, they donate a book to a child in need. To date, over 50,000 books have been donated across North America! This makes my heart so happy because I know all children aren’t lucky enough to have so many books. 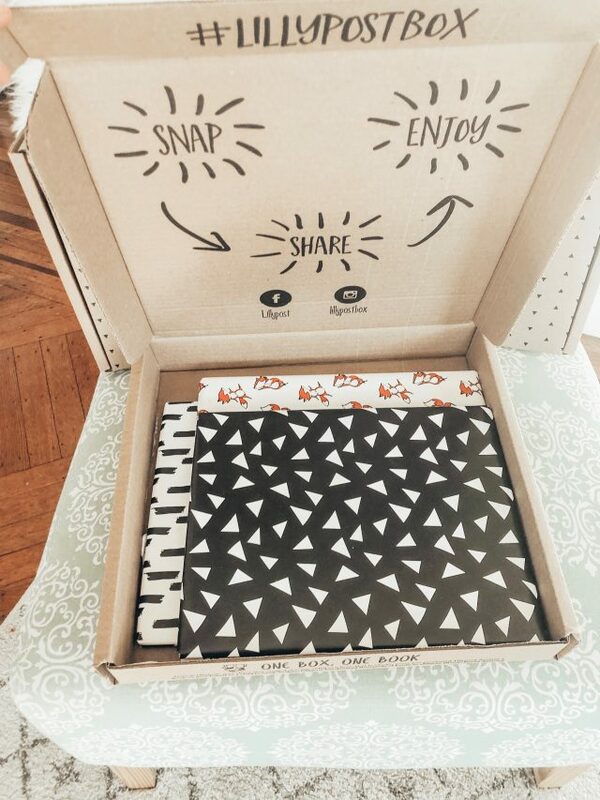 The books come in a super stylish little box and they are wrapped in the most adorable wrapping paper. Lillypost is a highly giftable item and gift-wrapping is available at $5USD/$6CAN per box. 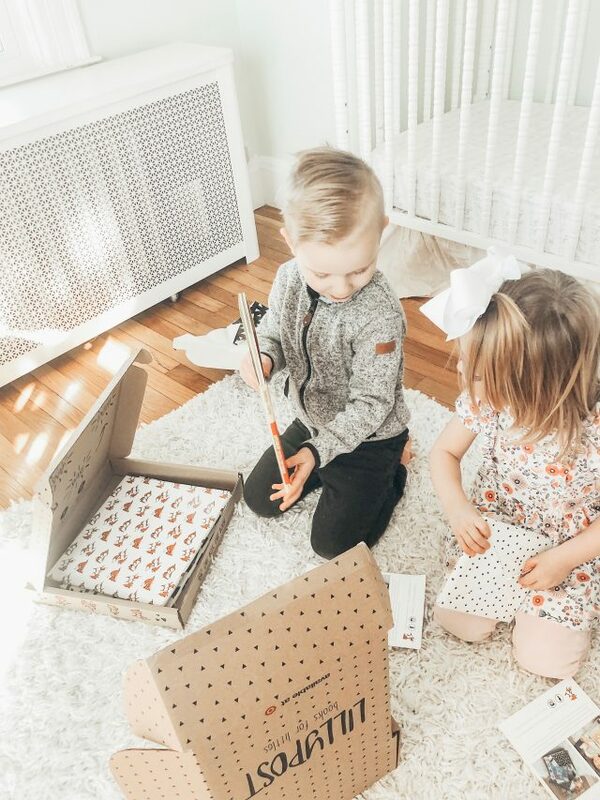 They had so much fun opening them! 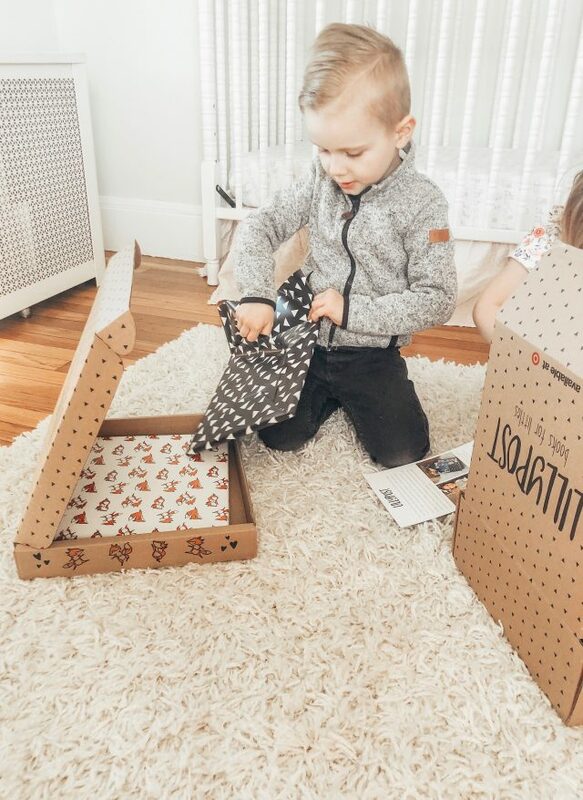 Lillypost subscription boxes truly make for the best gifts, and if you are like me, you are sick of getting tons of toys! 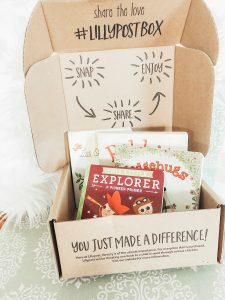 Definitely send this idea to grandparents, aunts, uncles, or anyone who is looking for a fun gift for your children. Books are one gift that we never get tired of. 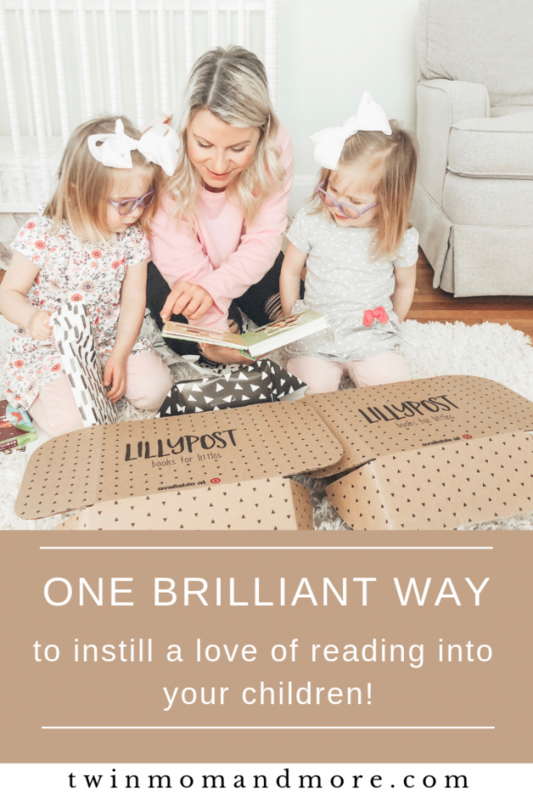 Each book in your Lillypost box is hand-selected by people that have a passion for children’s literature. While I do enjoy browsing Amazon or a local bookstore to pick out books for my children, it can be overwhelming to find books, read reviews, make sure they’re age appropriate, etc. 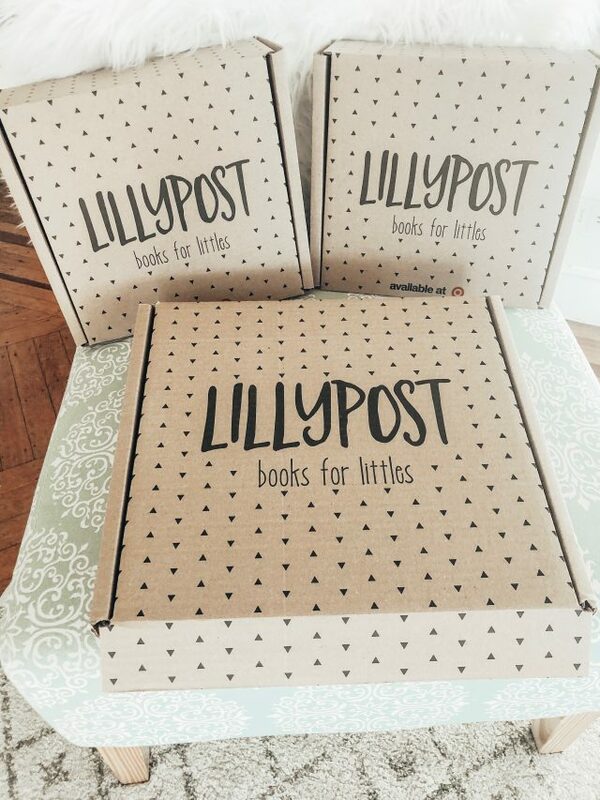 I love knowing that every single book in the Lillypost box is going to be a hit! 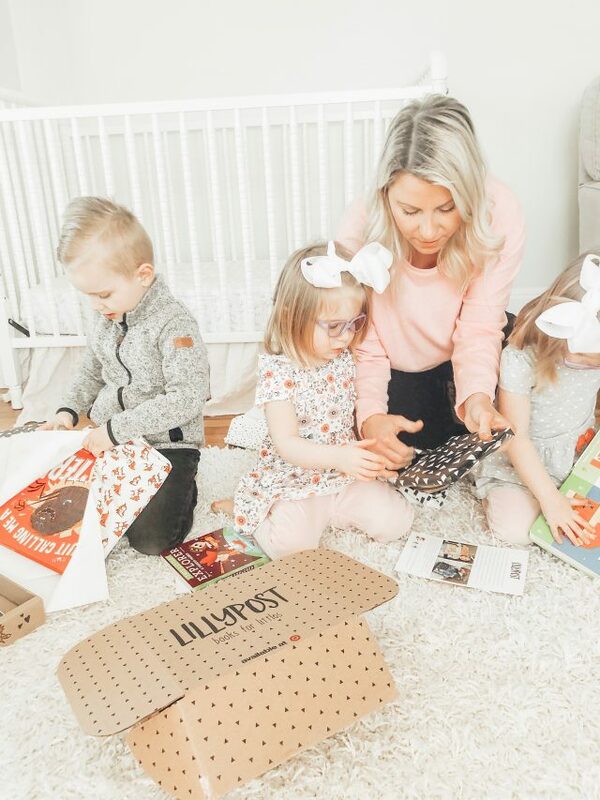 Each board book box comes with 4 books. The variety was perfect and each book is extremely high-quality. My girls loved them! There was a good blend of books that would hold the attention of younger toddlers, as well as captivate my 3-year-olds. 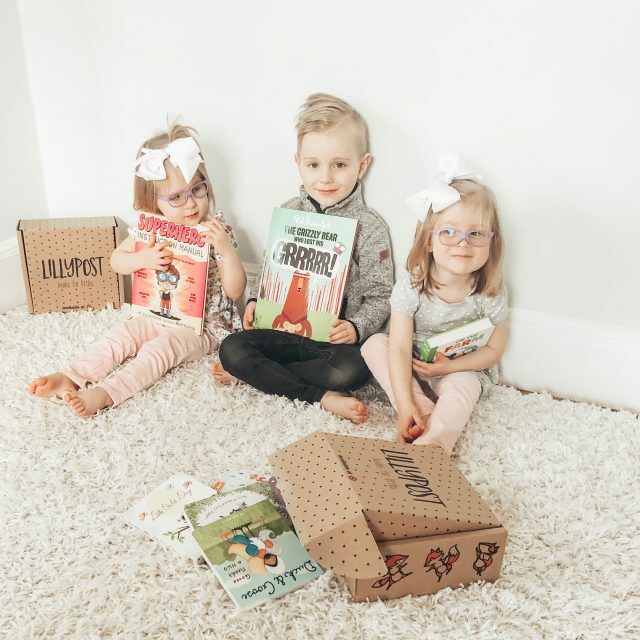 Each picture-book box comes with 3 books. 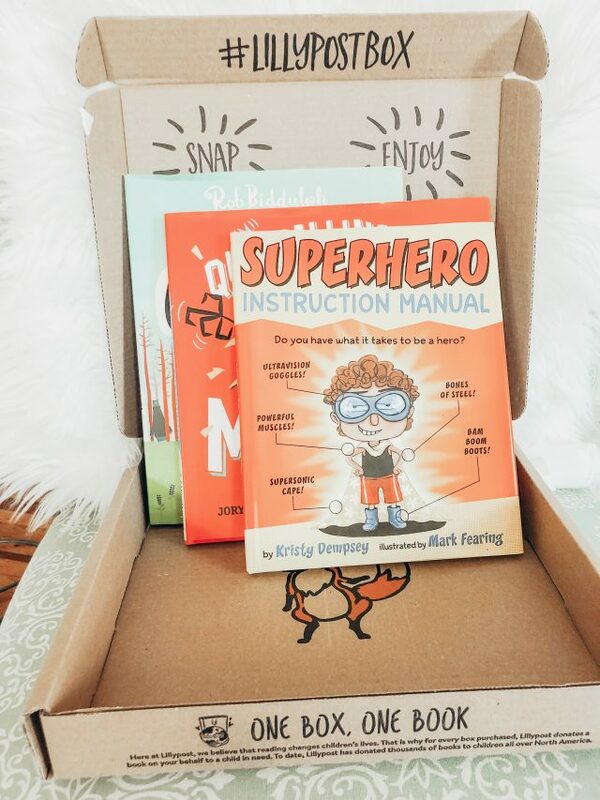 The combination boxes come with 2 board-books and 1 picture-book. Josie and Margo each got their own box, and the books were different, which they were thrilled about. The selection in all 3 boxes was truly excellent. It’s no wonder that they have rave reviews on Facebook and are loved by both kids and parents! The kids were so excited that they immediately started reading. 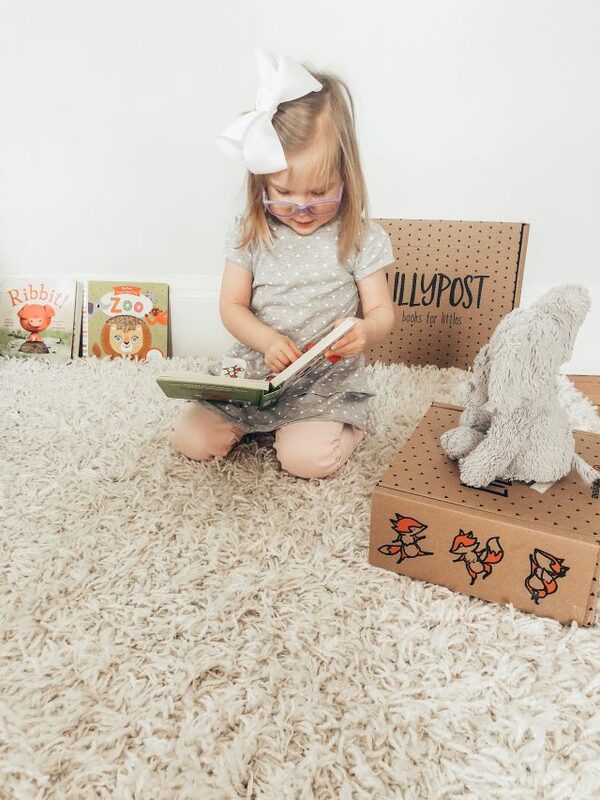 Margo even set her little elephant on one of the boxes to read to it. 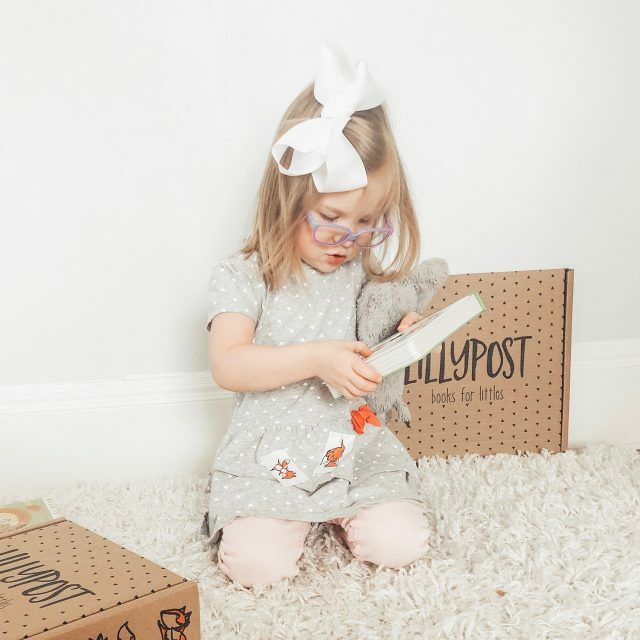 We are SO delighted with our Lillypost boxes and can’t wait to receive them again! 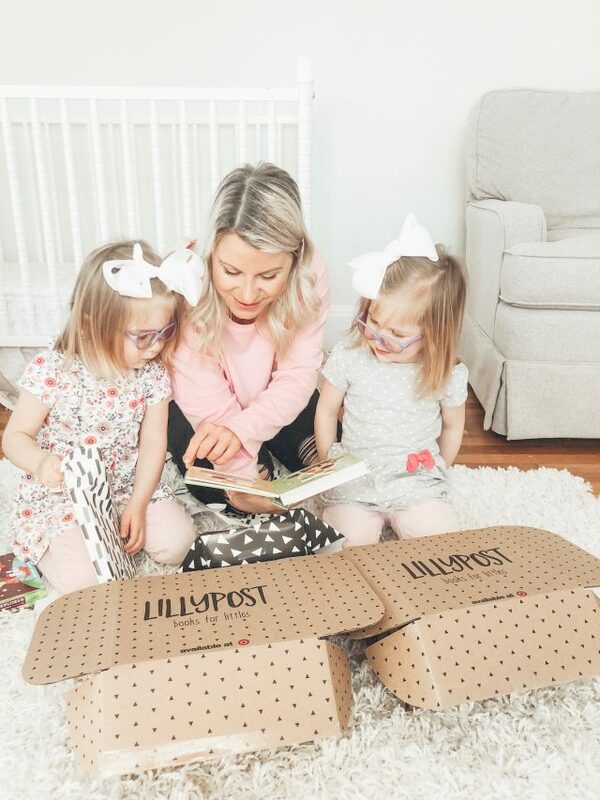 Thank you so much to Lillypost for sending us your wonderful boxes. We were beyond thrilled with the books!